Straight teeth are a dream for many people. The idea of adult braces is, meanwhile, a nightmare for many others. The reality though, needn’t be as awful as what we imagine. In 2015 the wealth of adult brace options available in the UK mean that deciding as an adult to get those teeth straightened out once and for all needn’t set your teeth on edge. Invisalign braces, for example, are a relatively new and very modern dental brace option to explore. Known as ‘invisible braces’, Invisalign braces provide a discreet brace option for many adult brace wearers. Chances are you already know somebody who has or does wear Invisalign braces. As award winning consultant and specialist of Queensgate Orthodontics, Claire Nightingale explains: ‘I have been working as an orthodontist exclusively since 1993 and so have a great deal of experience of working with both children and adults to create beautiful smiles. I use the full range of braces including Invisalign and Incognito (lingual braces).’ Hence, for any adult considering brace options and what are available these days in way of ‘invisible’ braces, Claire Nightingale is an expert whose advice is well worth seeking – you may be surprised at just what can be done. According to an article featured in The British Dental Journal, a survey found that dental appearance directly affects self esteem. The correlation between dental appearance and self esteem is important because, quite frankly, while a person may be able to get on in life with crooked teeth, a person lacking in self esteem can struggle to ‘get on’ or succeed in a myriad of ways.Self esteem affects everything we do – it informs who we are. At worst, a lack of self esteem can prevent a person from realising their potential inany or even every aspect of their life. Aside from the huge and truly awful ways a lack of self esteem can damage a person’s career, love life and day-to-day happiness, a person too afraid to smile because of the appearance of their teeth finds themselves in a doubly difficult position, as smiling itself is thought to improve mood and boost happiness. Consequently, those with poor self esteem due to the appearance of their teeth who are consequently reluctant to smile face a much harder time of it than many of us realise. Of course, if this is you – you already know this. Fortunately, you do not have to put up with it – and you are not alone, it is important to know. Every year in the UK thousands of people like you invest in or seek advice as to the possibility of adult braces. So, what is stopping you? After all, it could fix more than just your teeth. When teeth are crowded or crooked very often something referred to as ‘bad bite’ is experienced. Further, when crooked teeth move over time (as teeth do as we age) a personwith gaps for those teeth to sink into may begin to experience jaw ache, develop a poor bite or even find their teeth are forcing each other out. 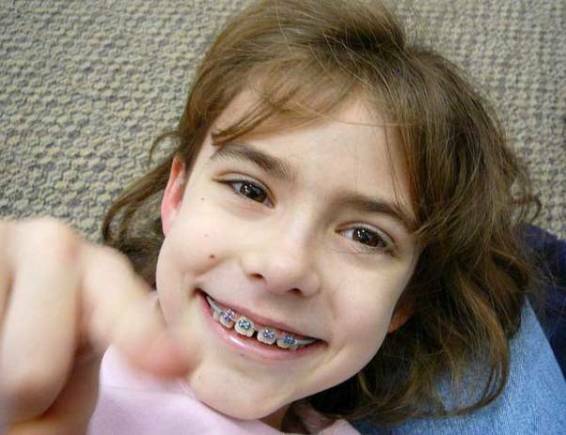 Hence, adult braces are not just a matter of attaining aesthetic results or boosting self esteem. Malocclusion (or ‘bad bite’) as it is called by dentists can also create areas in the mouth that are or can become difficult to clean, leading to cavities, gum disease and even tooth loss – all things which further affect one’s bite and appearance. Therefore, braces can provide a long-term and effective means of avoiding the problems associated with and caused by malocclusion. To read more about malocclusion and the problems it can cause, the Colgate Toothpaste website features a particularly insightful article on the topic.